LG may have more to show than the G2 at IFA in Berlin this September. 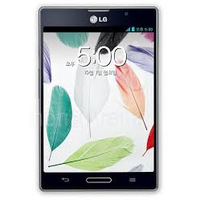 The Korean Daily recently reported that the LG Vu III is also due to make an appearance at the event, complete with the odd aspect ratio that we last saw on the Optimus Vu II. The Korean company isn't holding back when it comes to hardware for their new product - the Vu III will apparently feature a 5.2-inch 1280 x 960 display, a Qualcomm Snapdragon 800 processor, a 13 MP main camera, Android 4.3, and support for LTE-A networks. The shape of the phone (which looks a bit like a shrunk down iPad mini) may not appeal to everyone, but if the other specs are in keeping with the impressive features listed above, the Vu III could very well be another worthwhile option for a top tier smartphone towards the end of the year. LG is rumored to be working on three different models (F-300K, F-300L, and F-300S) though no details have yet surfaced for any of them. Pricing and availability for the new handsets have not yet been announced, and we'll have to wait for more details.